Chapters and colonies nationwide are commemorating the 30th Anniversary of the founding of the brotherhood by hosting informative, unique, and interactive programming. 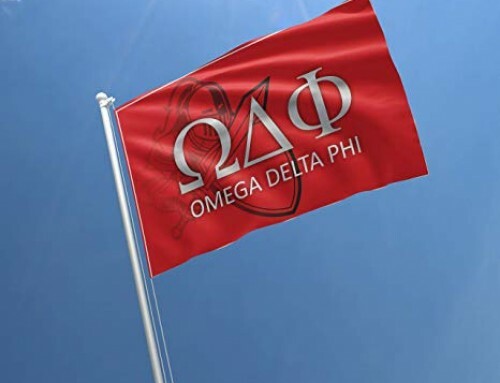 These efforts are being led as part of National Founder’s Week where chapters are able to showcase and feature the values and mission of Omega Delta Phi. November 25, 1987 is a date that all Knights have developed a deep appreciation for, it goes without saying that this is the date when ODPhi was officially established on the campus of Texas Tech University. Every founder’s day is pretty special but this year marks an important milestone being that it is the 30th Anniversary of the founding of one of the premiere Latino based with multicultural membership organizations in the nation. 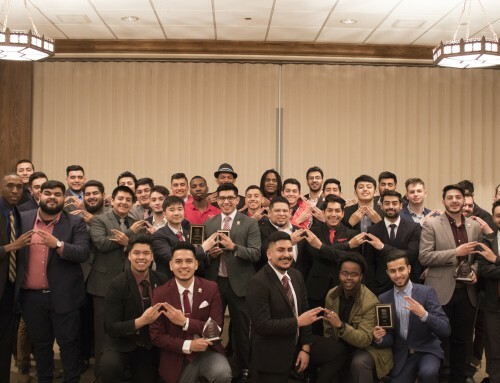 Being marketed as ODPHI Week, Knight Week, or simply Founder’s Week, the chapters and colonies are gearing their programming to the respective needs of their campus community all the while displaying their own identity as a chapter. The Alpha Chi chapter at the University of North Texas hosted a program regarding the dangers of driving while intoxicated, they titled their program Safe Knight Home and was held on campus . Attendees were able to try on drunk goggles which simulated the effects of alcohol impairment. The University of Houston- Downtown colony will also be highlighting the dangers of driving while intoxicated as they bring Brothers Against Drunk Driving awareness efforts to their campus. The Alpha Omicron chapter at the University of Texas at Dallas hosted a drunk driving workshop on their campus on Monday with the end goal of educating their peers about this prevalent practice. The Eta Chapter at Sam Houston State University also hosted a drunk driving awareness workshop on their campus. Service and Philanthropy being one of ODPhi’s biggest focuses, was also a big component of each entity’s founder’s week lineups. The Alpha Omicron chapter kicked off their CASA Toy Drive where they will collect toys and monetary donations to be donated to Court Appointed Special Advocates (CASA) of Collin County. The Beta Alpha chapter at Northeastern Illinois University is also slated to host their Toy Drive on November 21st. Different organizations are invited to provide entertainment while Beta Alpha provides the food. Admission to the event is one toy and the toys are then distributed through other partner non profit orgs in Chicago. The Beta Theta Chapter at Texas A&M San Antonio doubled up on service by hosting a Thanksgiving luncheon at the San Antonio State Hospital and then kicking off a Book Drive for the children of the Henry Carroll Early Childhood Education Center which will have a drop off location assigned on the campus. The University of Houston Downtown colony hosted a ODPHI Day of Service by focusing their efforts to restoring a home affected by the recent Hurricane Harvey. They also hosted Taco Tuesday where all proceeds benefit the Erik Alvarado Memorial Scholarship Fund, named in honor of departed brother and UHD colony Alpha Line initiate Erik Alvarado, a beloved and sorely missed brother and friend. The Alpha Eta chapter at the University of New Mexico carried out a service effort at the Casa Esperanza Car Auction in Albuquerque. The Tau chapter at the University of Texas at Arlington is hosting their traditional 24 hour canned food drive which will kick off with a Hump Knight stroll off at the Library Mall. The donated goods will be turned over to the Salvation Army for their distribution to DFW’s neediest families. 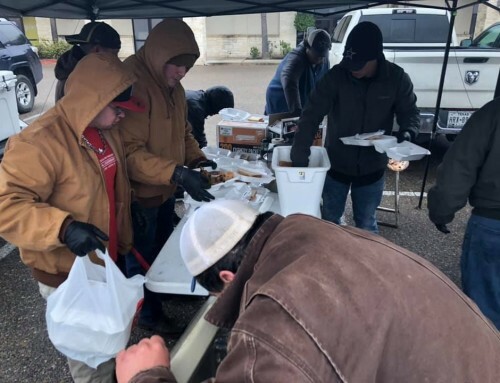 The Beta Nu chapter at Oklahoma State University hosted a service event through their Young Knights program at the Payne County Youth Shelter. The Eta chapter hosted a Thanksgiving appreciation dinner for a local Huntsville fire department house as a way of extending gratitude to those who put themselves in harms way to protect and serve the community. The Beta Alpha chapter also hosted a churro sale where they also collected donations for those affected during Hurricane Maria which devastated the island and is still suffering from food shortage and power outages. Professional and person development were also integral to the Founder’s Week experience of chapters throughout the nation. The Alpha Eta chapter hosted a study knight which encourages academic commitment and falls in line with the fraternity’s goal of graduating its members. The Tau chapter hosted a resume workshop to assist members and UTA students in building a resume worthy of being considered. The Alpha Omicron chapter will host an informative financial responsibility workshop later this week where they will aim to teach attendees how to be financially sound. The UHD Colony will also host a Study Knight for members to take advantage of and in hopes of reaffirming their commitment to academics, first and foremost. The Mu colony at Midwestern State University hosted an informative and eye opening program titled Coping with Injustice on their campus where they discussed different forms of injustice and how to best cope with these affront on our civil and personal liberties. The University of North Texas chapter hosted their breast cancer awareness letter writing campaign where they invited fellow students to write notes of encouragement to women who are battling cancer. They were also on hand to take donations for the Susan G Komen Breast Cancer Awareness Foundation. ight fundraiser. Chapters and colonies that hosted the Pie a Knight were Alpha Omicron whose proceeds will also benefit CASA of Collin County, Beta Nu chapter, and Beta Alpha chapter. The fraternity exists to provide a diverse fraternal experience to ANY man, coinciding with a higher education and as such the brotherhood also serves as a social outlet. The Alpha Chi chapter is hosting their Hump Knight this evening as a celebration of the brotherhood’s 30th anniversary. The UHD Colony will be partnering up with the women of Gamma Alpha Omega in a golfing social while the Mu colony hosted a birthday celebration for the brotherhood on the yard. The Alpha Eta chapter hosted a brotherhood tailgate during one of their Lobo football team’s football matchups. The Alpha Omicron chapter will be closing their Knight Week off with the unmasking of their newest additions to the brotherhood: the Phi Line of Fall 2017 while the Eta chapter will be unveiling their Xi Line on Saturday. At the University of New Mexico, the chapter there will host a step show to celebrate the brotherhood’s 30th anniversary. 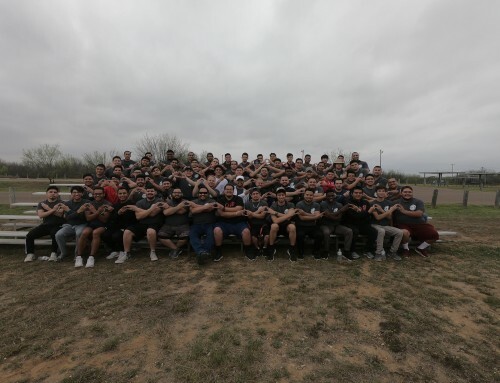 The fraternity was founded at Texas Tech University and as such, the Alpha chapter will be hosting a weekend celebration to commemorate the 30th Anniversary. Brothers from Alpha chapter and throughout are invited to join in on the festivities. The weekend will kickoff with a barbecue on Friday, a tailgate for the Texas Tech and Texas Christian University game at 11:00 AM on Saturday, and will conclude with the 30th Anniversary Banquet on Saturday. Brothers, families, and friends will descend upon the place that set this movement into motion. The brotherhood has stayed busy and will remain busy through the week as Founder’s Week continues to unfold around campuses nationwide. What is true, however, is that the values of Unity, Honesty, Integrity, and Leadership and our member’s commitment to serving others and excelling academically while providing a safe and inclusive home away from home are on display this month, more than ever. 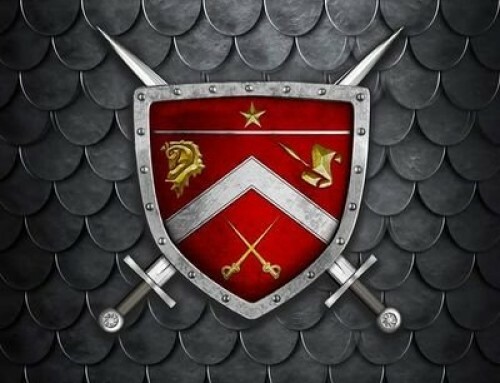 Happy Birthday Omega Delta Phi, here’s to the next thirty. And the thirty after that. A lifetime.